UK’s Information Commissioner Elizabeth Denham has announced that she intends to fine Facebook up to £500,000 (US$664,000) over the Cambridge Analytica Scandal, in which the social media giant failed to safeguard user’s information. “New technologies that use data analytics to micro-target people give campaign groups the ability to connect with individual voters. But this cannot be at the expense of transparency, fairness and compliance with the law,” she said, in a statement. Before a final decision is made on the fine, Facebook will have a chance to respond to the Information Commissioner’s Office. 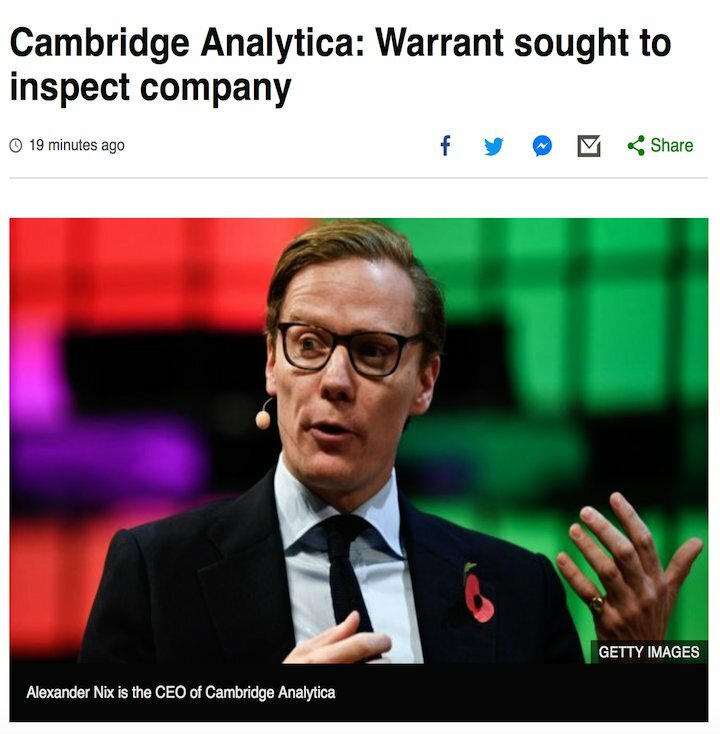 “We have been working closely with the ICO in their investigation of Cambridge Analytica, just as we have with authorities in the US and other countries. We’re reviewing the report and will respond to the ICO soon,” the company said. British firm Cambridge Analytica was forced to shut down in May after it was alleged to have acquired data on 87 million Facebook users, without their consent, to target them during political campaigns. The scandal sparked two separate investigations, one by the Electoral Commission, into the company’s role in former UKIP leader Nigel Farage’s Leave.EU campaign, and one by the Information Commissioner’s Office, which has announced a wider inquiry into the use of such data in politics. The company’s practices also led to a US Congressional inquiry. Facebook’s CEO, Mark Zuckerberg, has apologized for his company’s handling of the Cambridge Analytica privacy scandal.